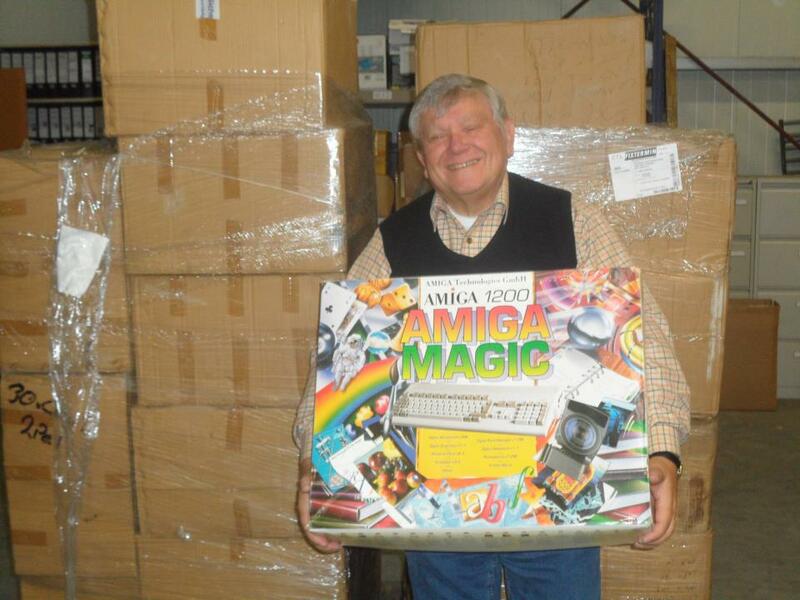 First of all, I’d like to send out a thank you to my friend, Back to the Code, for providing me with some hot news concerning the return of the Amiga 1200 Magic Pack. You can (if you’ve got Facebook) find more information on Petro’s Facebook page. He’s been posting several pictures of the goodies. You can also message him if you’re interested in buying one. Hope you’ll get one soon. Please let me know when you receive it. I’m very interested in the overall quality of the computer. 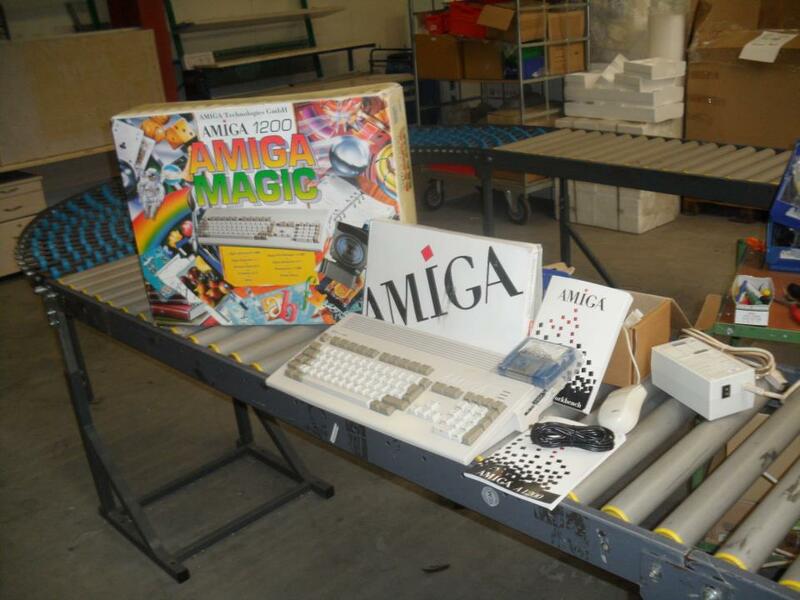 It’s been over a decade since I purchased my Amiga 1200 Magic Pack, but I remember the day vividly. Good times! Cool unboxing. If you do it with the Amiga 1200, maybe you would be interested in sharing it on my blog as a guest blogger? That would have been awesome. Thanks for your comment. 🙂 Glad to hear that you love your Amiga 1200. It is my favourite Amiga as well. Yeah I signed up to purchase one some weeks ago, he is shipping mine out to me to Australia within a week, I can’t wait. Just a heads up though if your interested they are actually all gone, no more left, I tried to get another one for a friend of mine and no luck. Wow! That’s awesome! Hope you’ll receive it soon. Please let me know when it arrives and your overall experience with it. Would be interesting to hear! All gone already? Man… that was quick, wasn’t it? Shows that there is a great demand for such stuff these days. By the way.. If you haven’t heard, any fans out there who loved the video game music back in the Amiga days why not support Allister Brimble who composed the tracks for Body Blows, Alien Breed, Super Frog and Full Contact etc. Help fund his project like I have to receive a signed limited edition CD pack with all remixed and original tracks. I also backed Chris Huelsbeck Anthology CD pack like above of remixed and original tracks such as the popular Turrican games. He too did a special option just for me. Just like Aliister’s CD pack I get not 1, not 2 but 3 signed and numbered CD packs including posters and a mention in the booklet. OCEAN, the old video game designers are creating a book with a nice OCEAN cover and the history of good and bad times etc also you may be interested in. This one needs a bit of a push thought if you could help spread the word, if funds are not met then project gets cancelled. Amazing – love the pictures 🙂 I like old things, actually… They have a charm that never exists in the “today”. As promised here is the almighty Amiga 1200 signed by Petro himself. Pure gold!! 😀 Thanks for posting and sharing mate! Thanks, Petro has more coming in around 20th of Jan 2013. Sounds good. 🙂 Thanks for the info! Merry Christmas! As mentioned earlier I was one of the lucky ones to have purchase the new A1200 from Petro all signed on the A1200 itself and front of the box, I have been watching the freight tracking and looks like I will see it in my hands tomorrow, so expect some photos of it here in a day or two. Woohoo! That’s great news! 🙂 Looking forward to see pictures of the beauty! anyone know if he does have any left? I really want to get my hands on one.. Yes, Petro has another 50-60 more coming mid January 2013. Is there no chance of a new A1200 now? Am I too late?